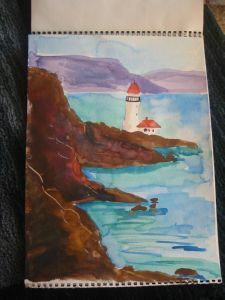 Hi everyone =) I just noticed I hadn’t updated anything on the website in a while, so I thought I’d post some new pictures of my latest project =) My friend Veronica and I took a watercolor class, which was a blast! 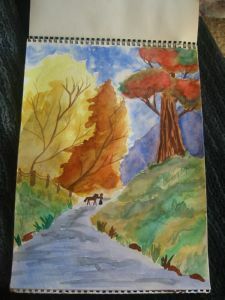 I hadn’t done any watercolor since middle school. 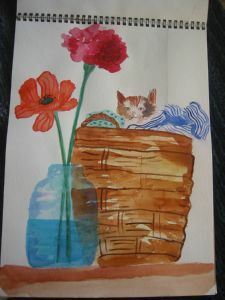 I know Mom is really jealous of me now, watercolor is her favorite =) Here are the paintings I did for class! 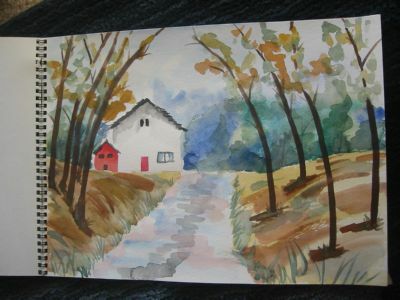 I think next we want to take an oil painting class if we can find one. 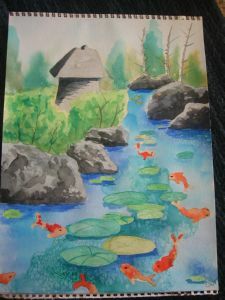 The koi pond was our first painting. I like it a lot, although I think I should add a wash over the fish so they don’t look so much like they are flying out of the water. 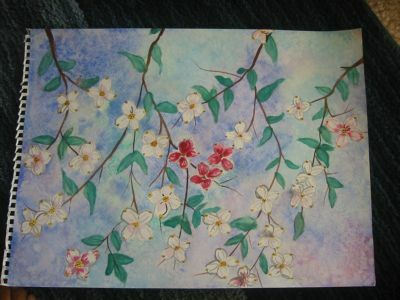 I showed lots of people how to do this painting =) Art class is fun! 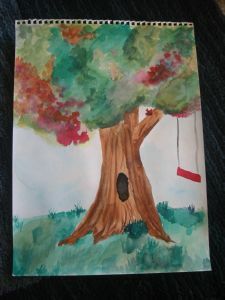 I love painting trees! These aren’t perfect, but I made my own tree to practice. We did this one in only an hour! I was amazed that we could do so much so quickly.